One of the best ways to control property is to control the rights to it. 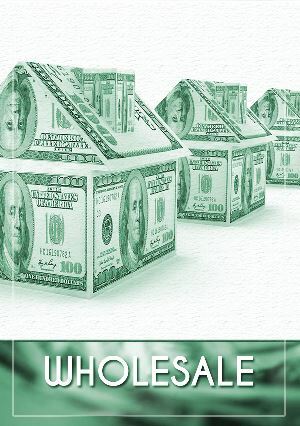 Wholesale is a great way to get started in real estate because it typically requires little or no capital or cash on your part. It’s also a great way to earn while you learn, by assigning the deals you aren’t ready for to others who are! Experienced investors will benefit from learning the secret to acquiring properties at a discount, cutting out the middle man in their business and therefore increasing their profit potential!